Medium Project 5, Photo 2 » Roger Perron Inc. 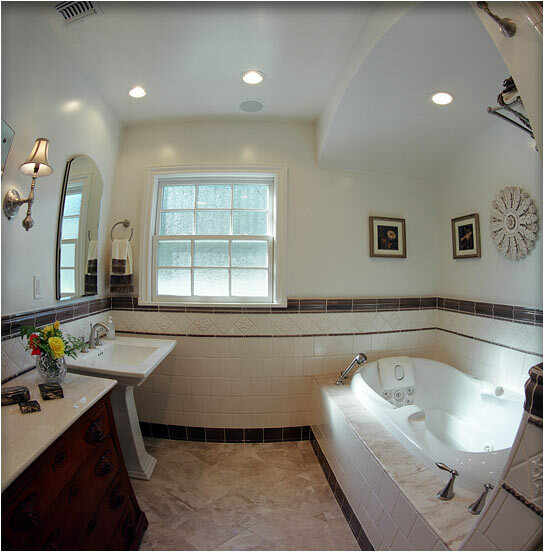 The master bath with custom handmade tile, and natural stone for tub deck and floor. The tub has special whirlpool features including a neck massage air pillow. The shower (not shown) has the same tile features. Architectural design for home remodel and garage new construction in Glendale designed by Curt Sturgill, architect, and Roger Perron, design-build contractor.